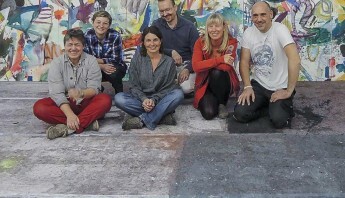 In November 2013, six students of Stephan Fritsch created a 1 x 6 m painting in two sessions at Kunstakdemie Salzburg. The frieze was called “Thank You For All The Fish”. If you are interested in renting or buying this piece of artwork, please take a look at the details (in german).